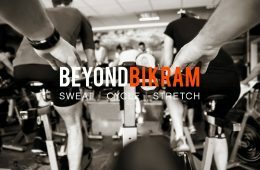 30 days of Cycle and Yoga for only $99 at Beyond Bikram! Go beyond your work out… Go Beyond Bikram! Try your first cycling class for free. 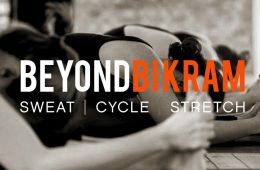 Try Out a Free Cycling Class at Beyond Bikram! Free cycling classes and B12 shots all weekend long at Beyond Bikram! Sign up now. Only a few spots left! Try your FIRST CYCLING CLASS for FREE or a $5 Community yoga class at Beyond Bikram!